Digital Orthographic Quarter-Quads combine the characteristics of an aerial photograph, which is a picture taken by a camera mounted on the bottom of an airplane. It has been georeferenced and orthorectified. They are then used as flat maps by removing the distortion from the aerial pictures. This type of pictures can represent some features more than others. The features at higher elevations will be seen in better detail because they are closer to the camera. 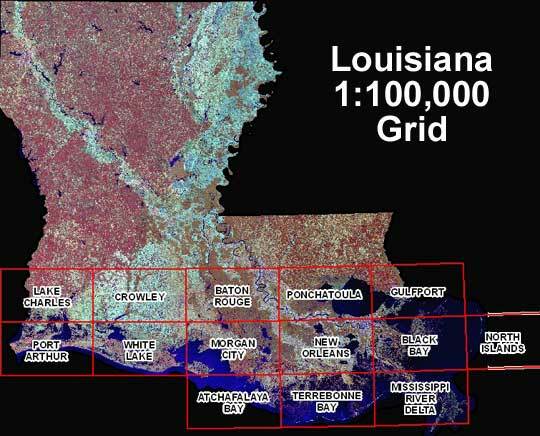 This map shows the overview of a waterway through the land in Louisiana.